This week, we continued our blog coverage of Star Wars at Disney Parks with several exciting updates, including sharing the location of the immersive resort planned for the Walt Disney World Resort. 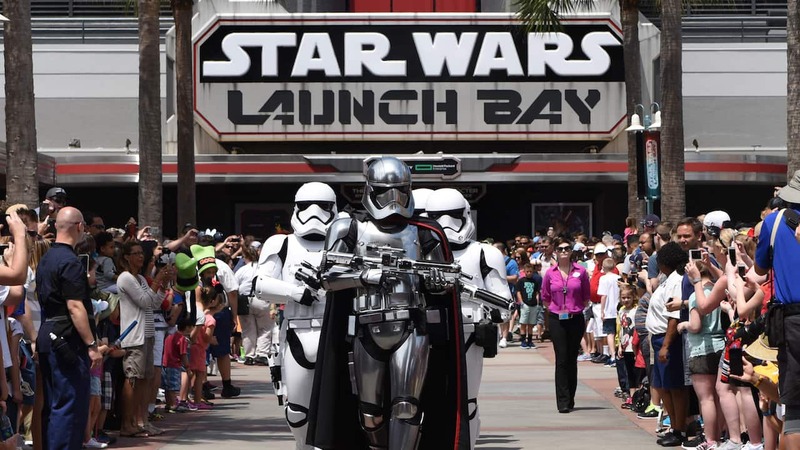 Disney Parks Blog readers were among the first to learn the location of the Star Wars-inspired destination, which is currently under development on the south side of Disney’s Hollywood Studios, just east of World Drive. 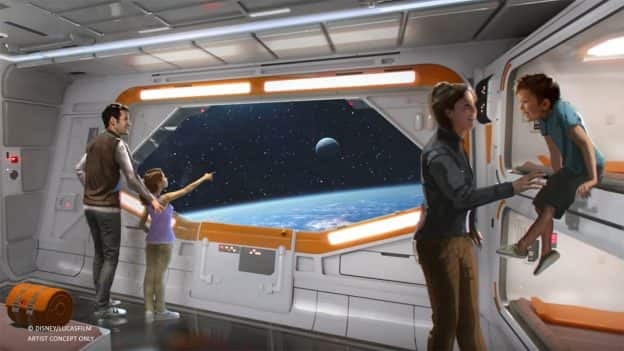 This location will allow the experience to be seamlessly connected to the highly-anticipated Star Wars: Galaxy’s Edge land at Disney’s Hollywood Studios, enabling guests to fully immerse themselves in the story of Star Wars. And earlier this week, we revealed that the name of the village in Star Wars: Galaxy’s Edge is Black Spire Outpost. The largest settlement on the planet Batuu, Black Spire Outpost is an infamous stop for traders, adventurers, and smugglers traveling around the Outer Rim and Wild Space. Visit our original Black Spire Outpost story to learn more about the history behind the name and how the village is closely associated with the geological formations that surround it. And at Disneyland Resort, we shared news about the new mobile ordering service now available on the Disneyland App. To order from any of the 15 fast casual and quick-service restaurant locations, download the Disneyland App (or install the latest app update) and follow the prompts to register for an account. From there, you can search for a participating location, select an arrival time window for pickup, choose items from the menu and place an order. Visit Michael’s original mobile ordering story for more. We’re Making Lost & Found So Easy…It’s Like Magic – A day at Walt Disney World Resort is sure to be adventurous and filled with fun, but sometimes in all that excitement it can be easy to lose track of your personal belongings. That’s why we’re introducing an online tool to make it even easier and more convenient for you to report lost items. 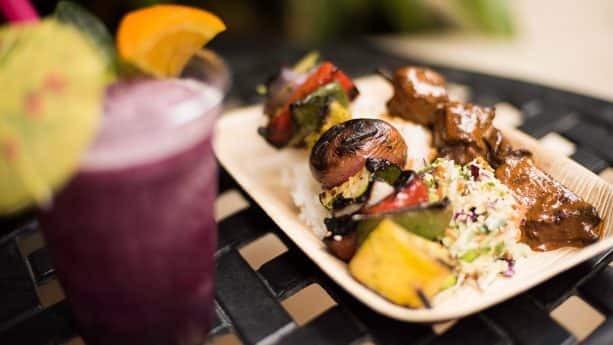 Tasty Eats Now Available for Mobile Ordering at Disneyland Resort – Ever wished you could order your lunch at the touch of a button? Now Disneyland Resort guests can do just that and more, thanks to the new mobile ordering service now available on the Disneyland App! #DisneyParksLIVE: Watch the Replay of ‘Sunrise at Epcot’ Now – On Friday, we gave you a look inside Epcot during a time that very few get to enjoy it – right at sunrise. In case you couldn’t tune in to the live stream, you can catch the full replay now. Take A Look at These New Renderings of Hong Kong Disneyland’s Multi-Year Expansion Plan – It’s full speed ahead for Hong Kong Disneyland! Last week, the resort opened the first new entertainment offering of its multi-year expansion plan – “Moana: A Homecoming Celebration” – and work is underway to bring even more exciting experiences to life almost every year through 2023. Minnie Van Service Now Open to all Visiting Walt Disney World Resort – Last summer we shared news of the new Minnie Van transportation service available at Walt Disney World Resort. Today, we’re excited to share that the service is now available for everyone at Walt Disney World Resort, through the Lyft app. Pandora – The World of Avatar Time Capsule: Imagineers Create the Most Advanced Audio-Animatronics Figure, the Shaman of Songs for Na’vi River Journey – We’re continuing to celebrate the first anniversary of Pandora – The World of Avatar by sharing an amazing behind-the-scenes look at how our Imagineers designed the most advanced Audio-Animatronics figure in Imagineering history – the Shaman of Songs.